Carlos and Sarah were enumerated in the 1920 New Britain, Hartford Co., CT, federal census, ED 1, page 13. Also in the household was the family of Frederick Hill who was listed as "son", probably son-in-law. [S25] Hannah McPherson, Holcombe Genealogy, Page 45.2/Item A-4-5-2-2-1-6-1-3. Sterrie and Ada were enumerated in the 1900 Westfield, Hampden Co., MA, federal census. He was 47, she was 49. The only child in the household was B. Mae, 24. Also in the household was mother-iin-law Ada L. Holcomb, 84, widow. [S25] Hannah McPherson, Holcombe Genealogy, Page 46.1/Item A-4-5-2-2-1-6-1-5. Walter Holcombe was born on 18 October 1853 at New Hartford, Litchfield Co., CT. He was the son of Carlos Holcombe and Adah Lavinia Bushnell. 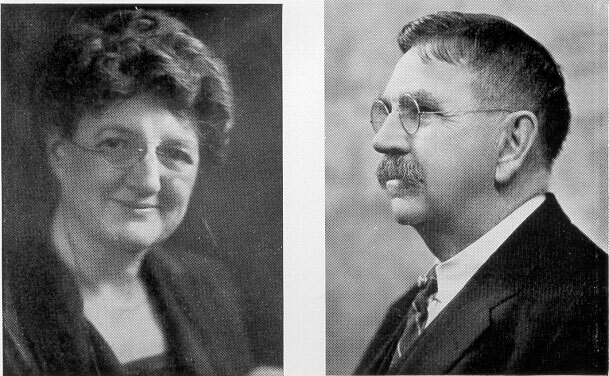 Walter Holcombe married Edith A. Sanford. Walter was a lawyer, St. Paul, MN, and Torrington, Litchfield Co., CT. Graduated CE degree, Sheffield Scientific School, Yale Univeristy in 1877? ; served for a year in engineering corps, building Mo., Ark. & Sou. RR from Fayetteville, Ark via Van Buren and Ft. Smith Ark, to Paris, Tex; returned to Texas where he was admitted to practice law in 1881; later moved to St. Paul, MN to practice law from 1884 to 1896 when he returned to Torrington (near Simsbury) to practice; served 13 years as State's Atty. for Litchfield Co.
[S25] Hannah McPherson, Holcombe Genealogy, Page 46.1/Item A-4-5-2-2-1-6-1-6. Louisa Fancher was born in September 1842 at CT. She married Hiram Brazillia Holcombe, son of Carlos Holcombe and Adah Lavinia Bushnell, on 16 June 1860.1 Louisa Fancher died on 8 February 1924 at New Hartford, Litchfield Co., CT, at age 81. She was buried at Pleasant Valley Cemetery, Barkhamsted, Litchfield Co., CT.
Benamin Franklin Welles was the son of Herbert Franklin Welles and Elida Emily Holcombe. Herbert Welles was the son of Herbert Franklin Welles and Elida Emily Holcombe. Harold Welles was the son of Herbert Franklin Welles and Elida Emily Holcombe. Grace Welles was born say 1891.1 She was the daughter of Herbert Franklin Welles and Elida Emily Holcombe. Luther A. Holcombe was born on 3 March 1816.2 He was the son of Hezekiah Holcombe III and Orpha Roberts.2 Luther A. Holcombe married Sophronia Hills, daughter of William Hills and Elizabeth Case. Luther A. Holcombe died on 24 March 1844 at Granby, Hartford Co., CT, at age 28. [S25] Hannah McPherson, Holcombe Genealogy, Page 50.1/Item A-4-5-2-3-1-4-11. Sophronia Hills was born in August 1819 at CT. She was the daughter of William Hills and Elizabeth Case. Sophronia Hills married Luther A. Holcombe, son of Hezekiah Holcombe III and Orpha Roberts. Sophronia Hills died on 7 January 1908 at Glastonbury, Hartford Co., CT, at age 88. She was buried at St. James Cemetery, Glastonbury, Hartford Co., CT. Sophronia was recorded in the 1850 Glastonbury census with her minor daughter, living in the home of Frederick and Wealthy B. Curtis. Sophronia was recorded in the 1900 Glastonbury census, film T623-136, page 12B, line 57, with her grandson George Barber, age 35. George R. Holcombe was born in 1839 at CT. He was the son of Luther A. Holcombe and Sophronia Hills. George R. Holcombe died on 1 December 1843; McPherson gives the date of death as Decmeber 29, the gravestone says December 1. He was buried at St. James Cemetery, Glastonbury, Hartford Co., CT.
Henrietta Mary Holcombe was born in 1841 at CT. She was the daughter of Luther A. Holcombe and Sophronia Hills. Henrietta Mary Holcombe married Ralph Barber, son of Hiram Barber and Betsey Jones. Henrietta Mary Holcombe died on 7 November 1868. She was buried at St. James Cemetery, Glastonbury, Hartford Co., CT.
Mary J. Holcombe was born at CT. She was the daughter of Luther A. Holcombe and Sophronia Hills. Mary J. Holcombe died age 7 months, 7 days. Ralph was a miller and a mechanic. Ralph Barber was born in November 1828 at Hebron, Tolland Co., CT. He was the son of Hiram Barber and Betsey Jones. Ralph Barber married Henrietta Mary Holcombe, daughter of Luther A. Holcombe and Sophronia Hills. Ralph Barber died on 21 July 1874 at Glastonbury, Hartford Co., CT, at age 45. [S169] M.D. Donald S. Barber, Thomas Barber 1st Ed, Page 309. George Holcomb Barber was born on 15 November 1864 at Granby, Hartford Co., CT.2 He was the son of Ralph Barber and Henrietta Mary Holcombe. George Holcomb Barber died on 23 August 1926 at San Francisco, San Francisco Co., CA, at age 61.2 He was buried at St James Cemetery, Glastonbury, Hartford Co., CT.
George received a Bachelor of Science degree from Boston University, an MD degree from Columbia. He was a Lieutenant and a Surgeon in the Spanish-American War, when he was stationed at the Naval Hospital in Philadelphia, and on the USS Glacier off Cuba. Rear Admiral George H. Barber, formerly of Glastonbury, died Monday afternoon in San Francisco, after a short illness. Admiral Barber was stationed on the Pacific coast for two years. He was 60 years old. Born in Granby, a son of the late Ralph and Henrietta Barber, he went to Glastonbury when a boy and was educated in the public schools of that town, later entering Amherst College. While attending college his parents died and he later lived with his grandmother, Mrs. Sophronia Holcomb of Glastonbury. Following his graduation from Amherst, Admiral Barber entered the navy, in which he served thirty-five years in service. He leaves several cousins, one with whom he lived when he came to Connecticut, Mrs. Frederick Hollister of South Glastonbury. The body will arrive in Hartford within a few days and will be taken to Lowe’s funeral home, Glastonbury. [S284] Courant, 25 August 1926. Frank Edward Barber was born on 3 September 1868. He was the son of Ralph Barber and Henrietta Mary Holcombe. Frank Edward Barber died on 22 September 1868. Hiram Barber was born between 1792 and 1793 at probably Hebron, CT. He was the son of Hyrom Barber and Sarah Barber. Hiram Barber died on 21 August 1828. [S169] M.D. Donald S. Barber, Thomas Barber 1st Ed, Page 308/Item 408. Hyrom Barber was born on 12 January 1767 at Hebron, Tolland Co., CT. He was the son of Oliver Barber and Mary Smith. Hyrom Barber married Sarah Barber. Hyrom Barber died on 9 August 1814 at age 47. [S169] M.D. Donald S. Barber, Thomas Barber 1st Ed, Page 193/Item 227. Sarah Barber was born in 1774. She married Hyrom Barber, son of Oliver Barber and Mary Smith. Sarah Barber died on 15 August 1856 at Hebron, Tolland Co., CT.
[S169] M.D. Donald S. Barber, Thomas Barber 1st Ed, Page 94. Oliver Barber was born on 2 June 1742 at Hebron, Tolland Co., CT. He was the son of Capt. David Barber and Patience Case. Oliver Barber died on 7 October 1805 at Hebron, Tolland Co., CT, at age 63. [S169] M.D. Donald S. Barber, Thomas Barber 1st Ed, Page 93/Item 90. Capt. David Barber was born on 17 February 1716/17 at Hebron, Tolland Co., CT. He was the son of David Barber and Hannah Post. Capt. David Barber married Patience Case on 8 March 1738/39 at Hebron, Tolland Co., CT. Capt. David Barber died on 14 January 1801 at Hebron, Tolland Co., CT, at age 83. [S169] M.D. Donald S. Barber, Thomas Barber 1st Ed, Page 35/Item 30.